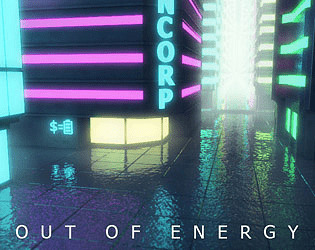 Get cash to buy energy. Then what? Loved so much the aesthetics! Very poetic! But I wish there was more to the gameplay, indeed. I mean, it seems that it's all about random, which is nice as a message, but not much as a game. But it's an amazing work!!! If you feel like it, check my entry too =)! Liked all the visuals and atmosphere. Wish there was more than just chance/randomness at play. It's kind of depressing. I found the concept very interesting, I was sad there was not more gameplay. The aesthetics is clearly the best. I don't really see the theme that was "height" except for the neon part, then I didn't not know if the result were just random and what was the differences between the three choices. I guess its like that film where you top up days or die? I begged, something to do with clothes or ask for work? 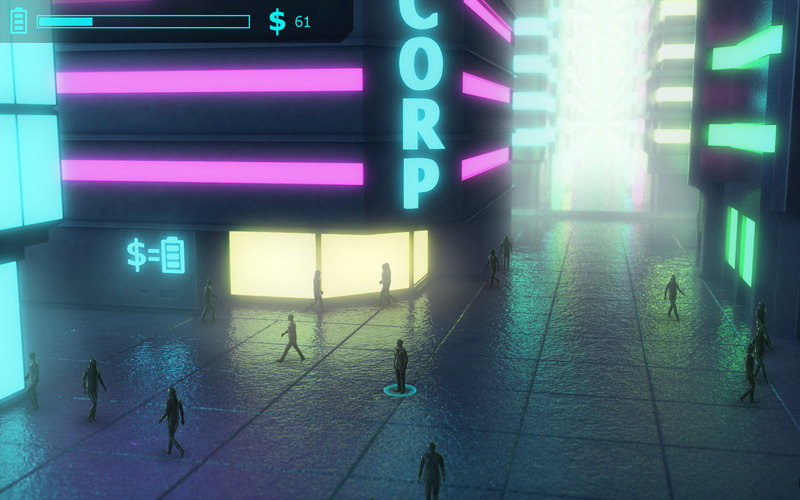 Graphics are very neat, city looks very neon. nice work, needs something extra or some guidance maybe?